Line a muffin pan with tins. Whisk together the flour, flax, salt, baking soda, cinnamon and baking powder in a bowl until evenly blended and set aside. Whisk together the applesauce, sugar, brown sugar, vegetable oil, and vanilla extract in a bowl until smooth. 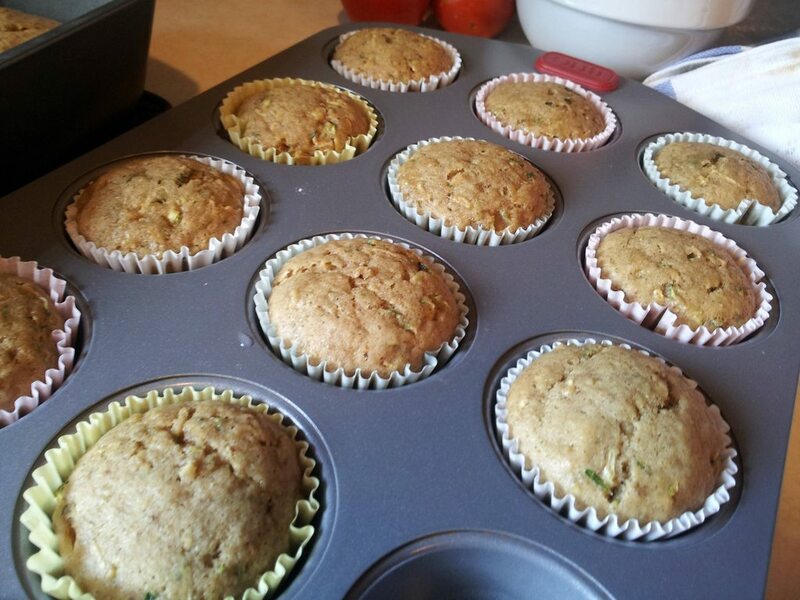 Fold in the flour mixture and shredded zucchini and blend well. Scoop the batter into the tins. Bake for 25 minutes, or until a toothpick stuck in the center comes out clean.